Ebola has hit NYC, and it’s sending ripples of fear. Are students panicking? Well, not exactly. 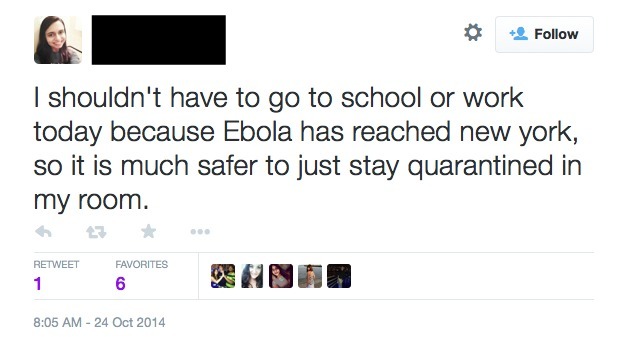 Unlike parents, students don’t seem as concerned with the threat of Ebola. 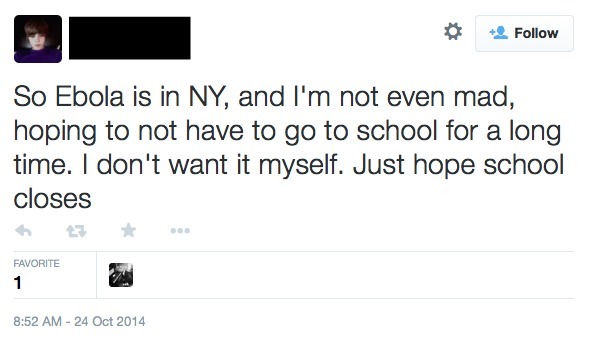 In fact, these 15 students on Twitter are crossing their fingers that the Ebola virus will shut down school.